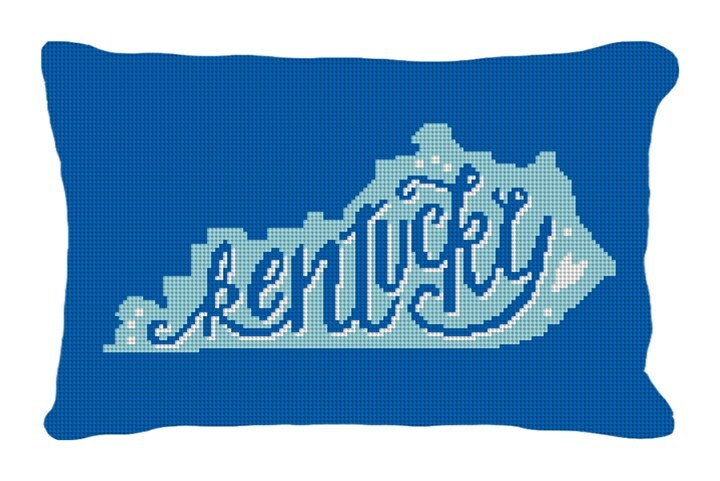 This state is rich in tradition and home to the Kentucky Derby, Preakness Stakes, and the Belmont Stakes. Your family may live in Louisville, Lexington, Frankfort or any of the other charming communities in Kentucky; and you know it's definitely a place your family can call home! This needlepoint pillow is perfect for giving that personal touch to your home decor.